Wanda Bullard has a very extensive background in marketing and advertising experience. 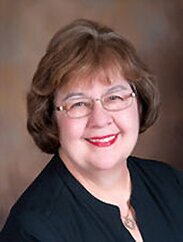 After working with an advertising agency for many years, Wanda decided to utilize her marketing skills on the client side and has been with Residential Mortgage Corp since 2003. She is attending the University of North Carolina at Pembroke, majoring in Business Administration with a focus on Marketing, Business Communications, and International Business, to hone her skills and continue her quest to stay abreast of new ideas and strategies that will complement the company’s mission of continually staying on the forefront of technology. Always on the cutting edge of marketing trends, she puts her focus on what is important to our mortgage clients and also regularly attends seminars and webinars on current directions in the mortgage industry.